We belive that everyone needs passion. 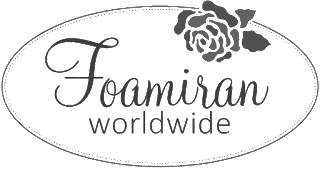 We belive that making foam flowers can be your passion. That is why we sell simple product like 0,6 mm foam for making flowers. You can made an incredible flowers from our foam, wherever you live. Welcome in Foamiran Worldwide !